It’s December, you’ve already eaten all the advent calendar chocolates, and as per tradition, we’re counting down the top ten blog posts. So which are the most popular posts we’ve written on our roofing design blogs this year? For the first time we have three blogs, so things will be even more exciting! Here is the first half of the top ten, in reverse order. Next week we’ll share with you the top five. Have a look at what you missed, tell us what you want to read about, and maybe you can help us write about what you want to know in 2018. So wind up the gramophone, cue the music and lets started! We started blogging about school roofs earlier this year, and already one of our posts is in the top ten. This is a glossary of flat roofing terminology, written specifically for school business managers, but also useful for those of you not heavily into roofing. From Build up through Interstitial Condensation to Waterproofing, use this glossary to explain terms to yourself, to clients, to your architectural assistants. It is already very popular, but if you think we’ve missed a particular definition feel free to share it on the post in the comments and we’ll add it in. Everyone loves a zinc project, and this one has only been up six weeks and has already swept into number 9. 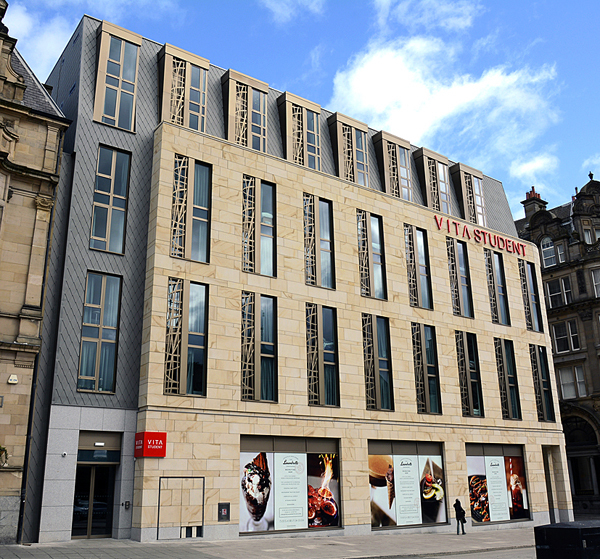 Vita Student provide high quality student accommodation and this development of 259 studios is on Westgate Road in Newcastle town centre, right next to the station and surrounded by listed buildings. We spoke to Project Architect Philip Walker of Fuse for the case study, who explained the challenge of designing in such a prominent site and how the design team developed a façade that is unashamedly contemporary, but has a timeless quality the client required, complementing the neighbouring buildings without imitating them. The stunning photography by Terrance Smith shows just how well this has been executed, with 560 x 250mm rhomboid shingles in elZinc Slate neatly picking out the bespoke anodised aluminium windows and sandstone cladding. Read more about the design decisions and see more photos on the zinc and copper blog, and don’t forget to sign up to get more posts if you like that sort of inspiration. Safe2Torch is the new NFRC backed strategy to reduce the risk of roof fires. In this post, we set out what Safe2Torch is, what we are doing to implement the strategy and support the campaign, and what architects need to know about safety with hot works on roofs. We’re delighted that the campaign has been such a success and that our post about it has got to number 8 in our top ten. This shows how much architects care about fire safety and that can only be a good thing. We’ve also produced a guide for clients which has been very popular. The #Safe2Torch campaign has got a great deal of press coverage and it’s good to see so many roofing companies getting on board. Read our advice to architects here. 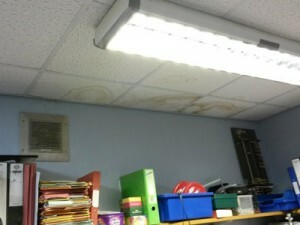 We’ve all seen them, leaks staining the ceiling tiles. Perhaps you’ve seen them in your child’s school or a school you’re visiting for work. This post about the hidden hazards of leaking roofs was written to help academy heads and business managers write their risk assessments in respect of leaking roofs and it is our top ranking school roof post this year, coming in at number 7. In the post we run through the main hazards of leaking school roofs which are becoming more and more of an issue as many of the roofs on our built assets in education come to the end of their working life. These include fire risk, slip and trip hazards, health hazards from moisture, water damage to equipment and the building fabric. 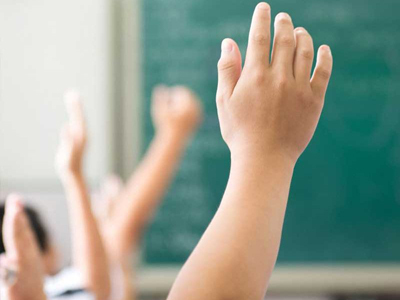 Our post seeks to help schools make the case for funding, and prioritising, roof repairs. Take a look at it here. Our first half of the top ten ends with a post that really should be in the top five, if not at the very top. The Alchemist at Salford Quays has been a huge hit with everyone from architects to punters. Its even appeared on BBC Breakfast and everyone is tweeting about it. 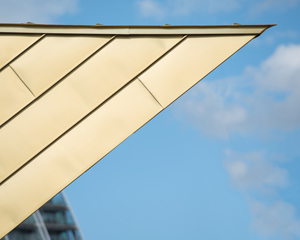 Our case study interviews Marion Room of Reid Architects and Paul Smith, MD of Longworth – whose team installed the stunning folded gold roof and walls. We learn about how the form of the building evolved, how the gold elZinc Rainbow cladding was chosen and the complex process of bringing the vision to life. The case study is supported by some excellent photography, but don’t take our word for it – you can find plenty of pictures online! Read the inside story of how the cladding was designed and executed here. So with that bombshell, we wind up the first five of the top ten, we’ll reveal the top five next week – what could possibly have been more popular than the Alchemist? It’s always fun to find out which post has won, and there are plenty more useful blog posts on the way there. Don’t forget to subscribe to see future posts in your email inbox as they are published. In the meantime, let us know in the comments below, on twitter at @SIGDesignTech and @SIGZincCopper or via our myriad of contact options, what you’d like us to blog about in 2018. We’re here to help.